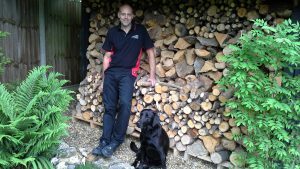 Hello my name is Steve Rock and I am a fully qualified chimney sweep registered with the Chimney Sweep Academy. 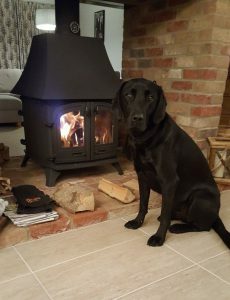 I am based in Hethersett, where I live with my family and loyal labrador Rocko, we all appreciate the benefits that a log burner brings to our home. There is nothing better than relaxing in front of your fire or wood-burner with the peace of mind that it is safe to use. There are several reasons why you should have your chimney/flue regularly swept. 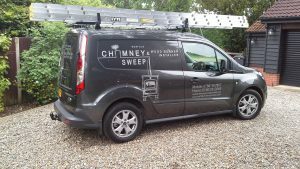 Many insurance companies will not pay out for chimney fault fire damage unless it has been regularly swept and maintained by a professional chimney sweep. 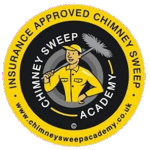 As a registered chimney sweep I will issue a valid certificate recognised by the insurance companies. 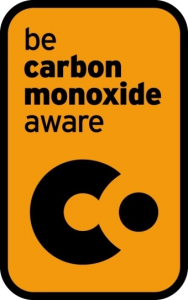 When using a fuel burning appliance carbon monoxide is produced, especially if the appliance is not burning correctly or the smoke/fumes are not able to exit correctly through the chimney/flue. You are in danger of a chimney fire if it is not regularly swept, as creosote build-ups will occur (tarring of the chimney). Chimney fires cause both damage to property and risk to life. Soot builds up inside your chimney/flue whenever you light your fire. If not cleared regularly it can drastically reduce the size of the flue (preventing fumes escaping), and also reduce the lifespan of the flue itself, meaning more cost to you. • Appliances burning well-seasoned wood (15-20% moisture content) or coal – quarterly when in use. • Appliances burning smokeless fuel, oil or gas – at least once a year.